Following the release of their single ‘Lok Boliyan’ earlier this year, Twin Beats are back and ready to showcase their second album titled ‘LEKTRONIK ZAMANA’. 13 tracks in their own unique style of phat beats, heavy bass and pure desi instruments. 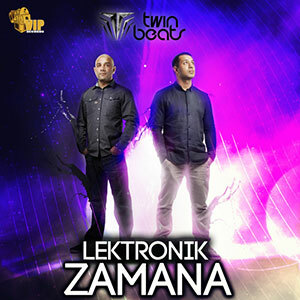 Lektronik Zamana serves to solidify Twin Beat’s position as undisputed Bhangra producers whilst highlighting their ability to produce music which is neither monotonous nor does it subscribe to a certain formula which is prevalent in today’s Bhangra industry. Comprising of both well known and new vocalists, the album is composed of many different styles, using a varied selection of songs to create an entire project which will have people listening from start to finish. I totally love this album and am really glad that the Mighty Twin Beats are back. Any chance that “Lekronik Zamana” will be released on CD for the old school brothers like myself?